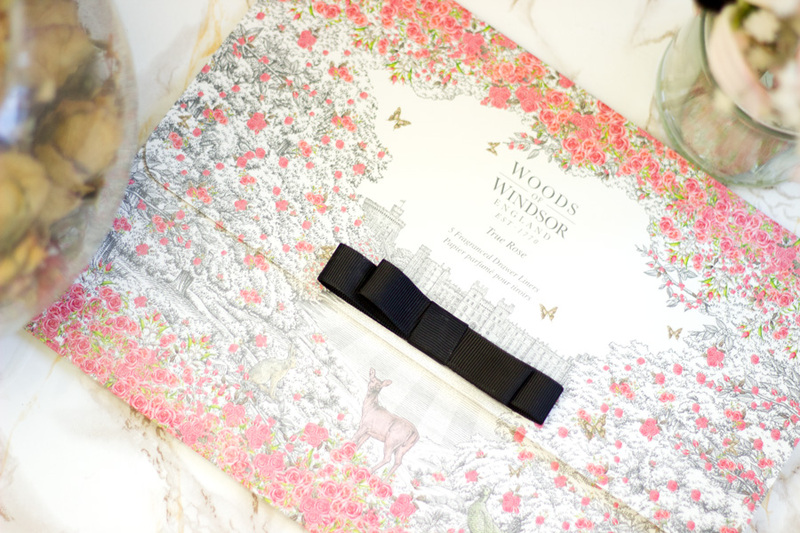 From the name alone, I am sure you can guess that Woods of Windsor is a quintessential British brand. 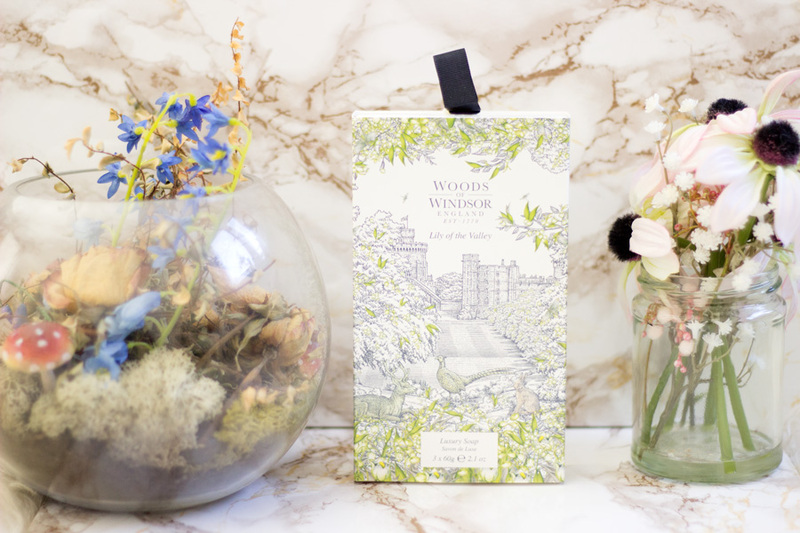 They are a premium English lifestyle and gift brand who have been around as far back as the 18th Century and they specialise in developing amazing bath, body and home fragrance products using natural beauty from the gardens in England. They have also won the Queen's Award for Export a few times. 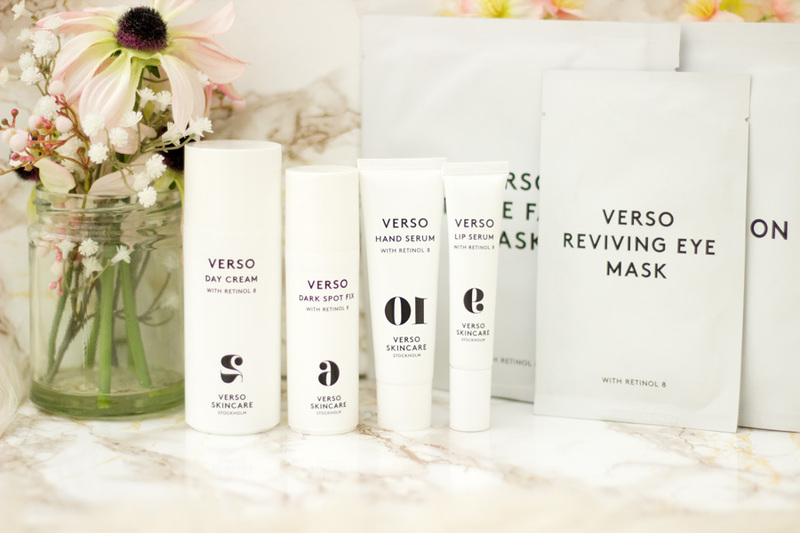 Last year, they revamped their packaging and their entire look including their easy to navigate website. 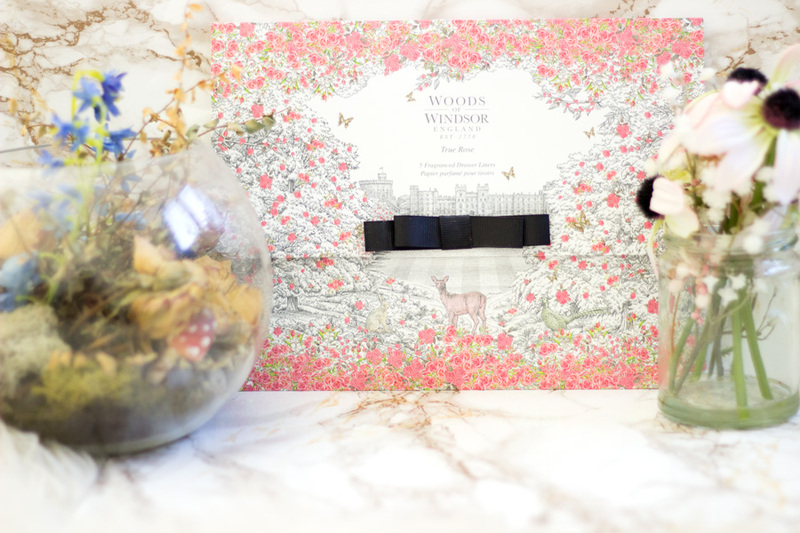 They have drawn inspiration from modern & vintage flower illustrations, the Great Park, Windsor Castle and the English Garden. You can check out their website here and their About page if you want to find out more about the brand. 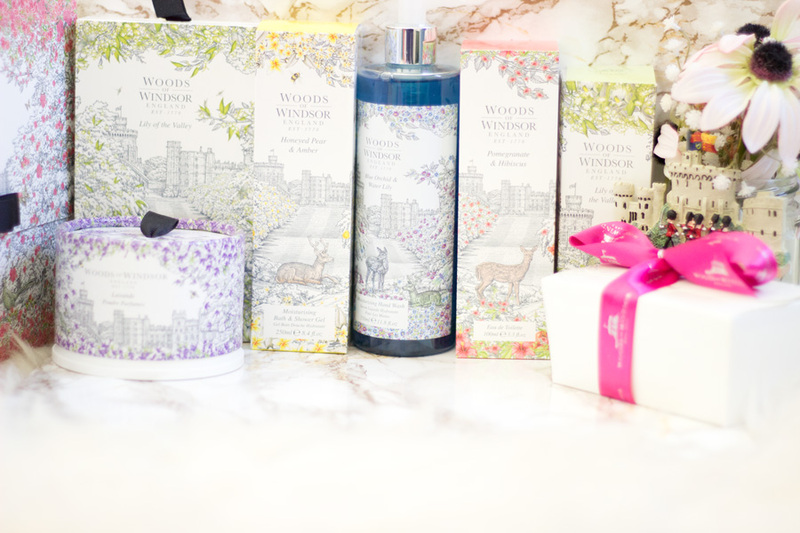 You can pretty much find anything ranging from body care and fragrance to home and gift items from Woods of Windsor. 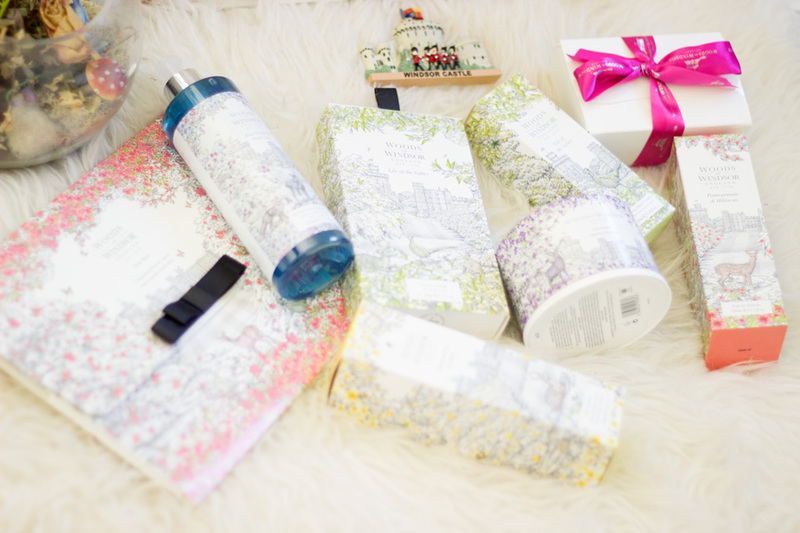 They are one of my favourite brands when it comes to body care and they make really affordable gift sets. 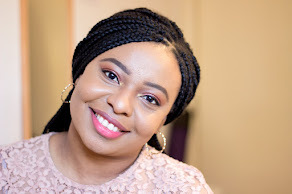 I have featured them a few times on my Gift Guides as they have the best combination of great quality, amazing packaging and affordability. 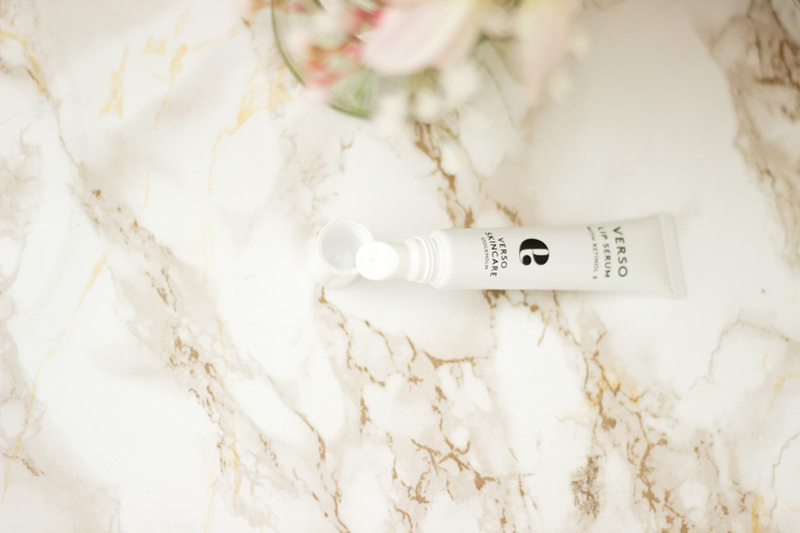 The categories of products on their website include Eau de Toilette , Moisturising Hand Wash, Moisturising Bath & Shower Gel, Nourishing Hand Cream, Luxury Soap, Dusting Powder and Draw Liners. 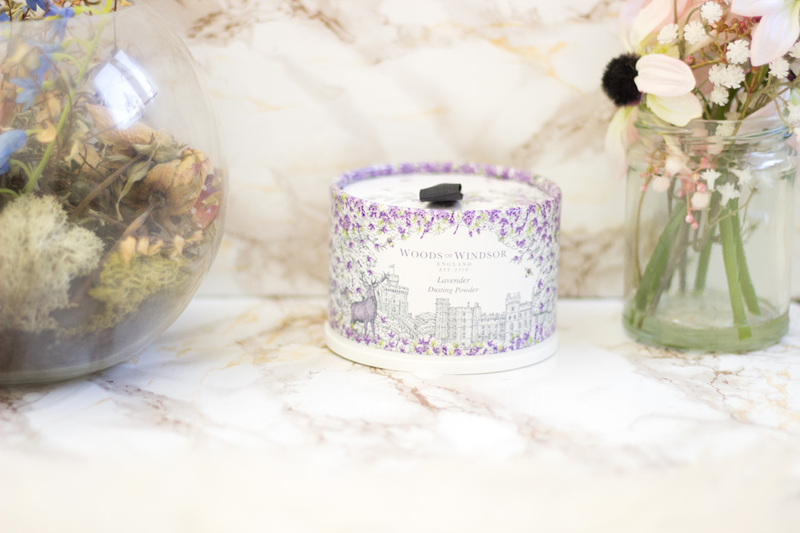 Last year, they had a collaboration with English Heritage which featured home and lifestyle products including Candles, Room & Linen Mists and Diffusers. 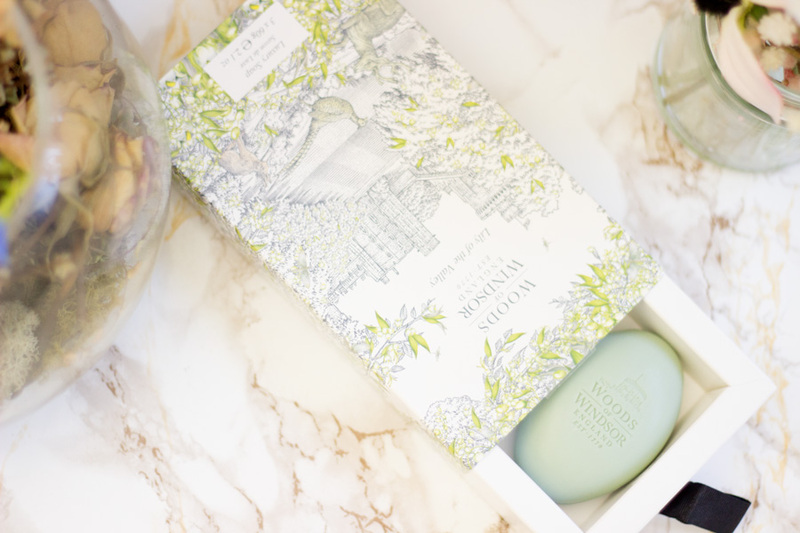 You can check out my review here of their English Heritage product lineup. One thing I love most about Woods of Windsor is range of fragrances to choose from. 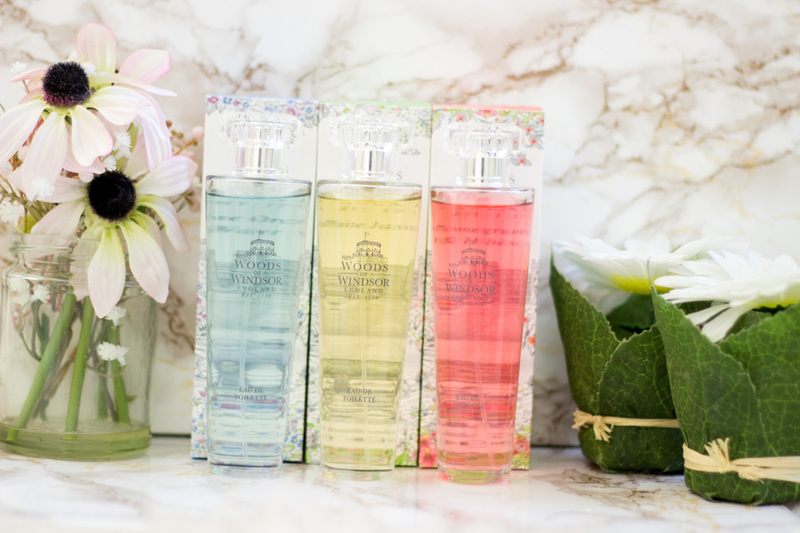 These fragrances include True Rose, Lily of the Valley, Lavender, White Jasmine, Blue Orchid & Water Lily, Bergamot & Neroli, Honeyed Pear & Amber and Pomegranate & Hibiscus. 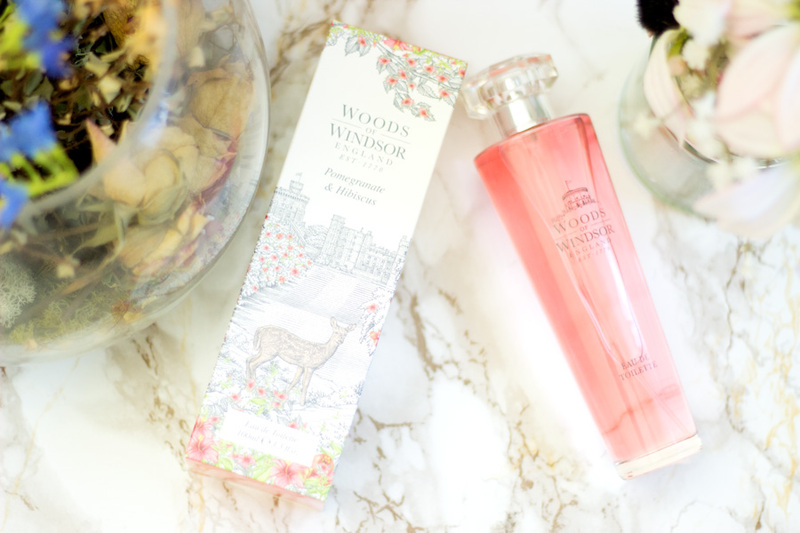 I've always had at least one Woods of Windsor fragrance in my stash because they smell lovely and are affordable. The outer packaging of these fragrances look absolutely stunning and you'd never believe their prices just from looking at their packaging. They look so premium. Although they are EDTs, they are much long lasting than many EDTs I own. 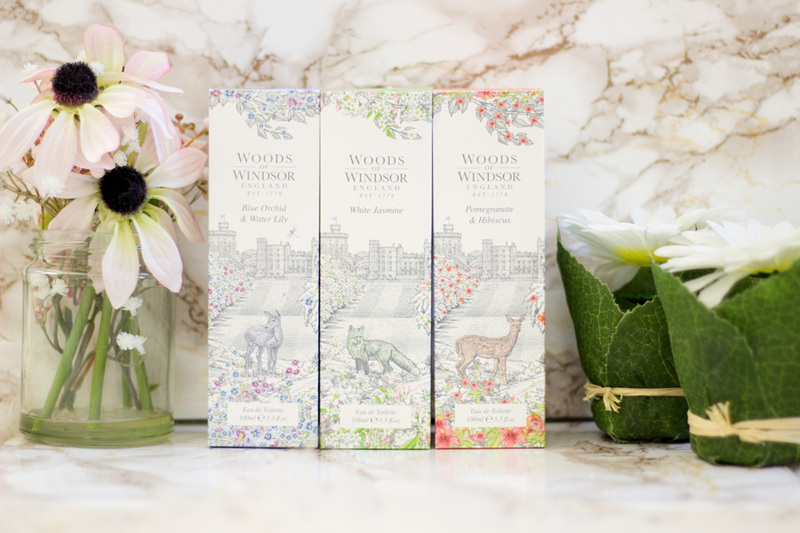 This is because Woods of Windsor use the purest and nature essential oils to make their fragrances. I have actually had to double check to see if they are EDTs or EDPs because their lasting power is impressive. I wished the perfume bottles had the name of the fragrances in front of the bottle instead of underneath. Other than that, I love the packaging. 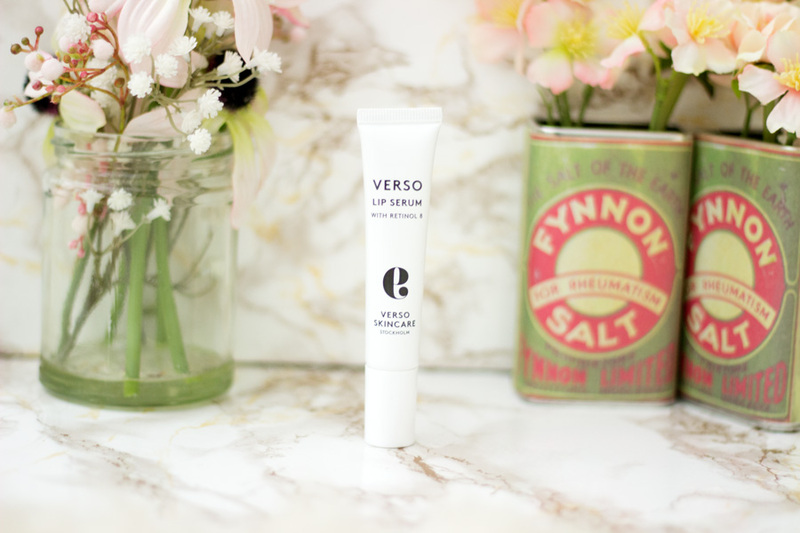 It does not feel or look cheap and it just sits elegant on my dressing table. 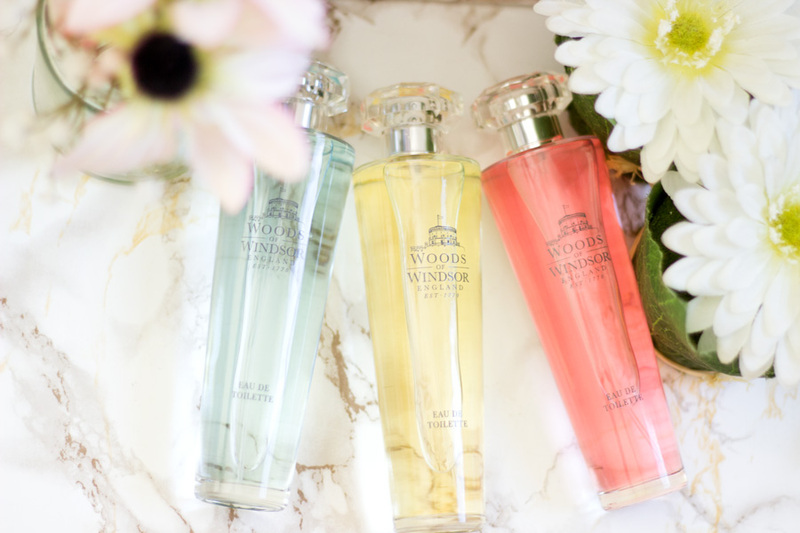 I was lucky to be gifted three EDTs which include Pomegranate & Hibiscus*, White Jasmine* and Blue Orchid & Water Lily*. My favourite has to be the Pomegranate & Hibiscus and that's what I am currently using alongside my other favourite fragrances. It's a good balance of floral (Hibiscus) and fruity (Pomegranate). The other notes in this fragrance include Bergamot, Mandarin, Ginger, Sandalwood and Vanilla. 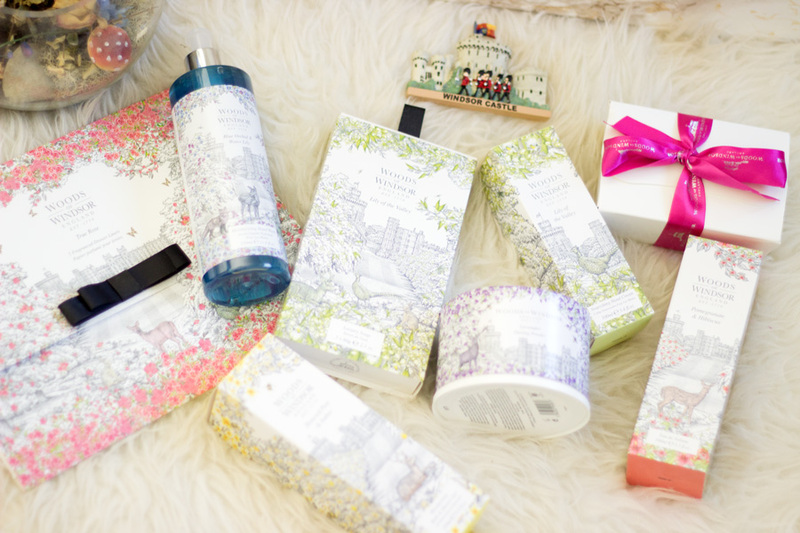 If you are after a Winter/Spring Transition fragrance, I'd highly recommend giving these EDTs a try. I always look forward to using a nice smelling shower gel in the mornings and they really help me get ready in the morning. I have quite a large number of shower gels which I have been working my way through and a few stand out from the rest. 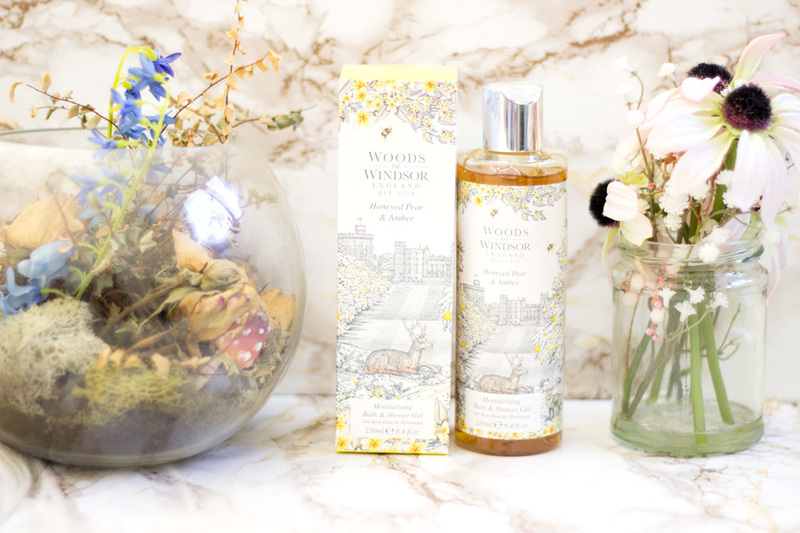 The Woods of Windsor Bath & Shower gel definitely fall into one of my top shower gels list. I love shower gels that smell great, work up to a good lather and rinse off nicely (without feeling greasy). 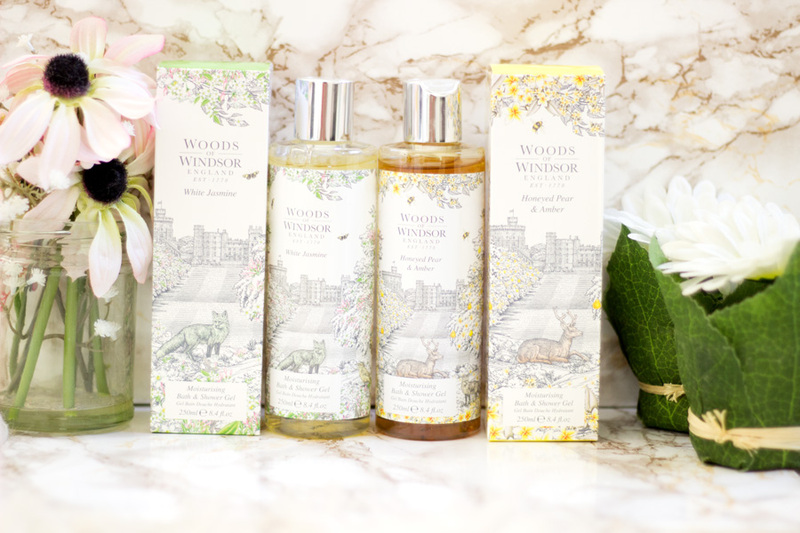 I can happily say that these Woods of Windsor Bath & Shower Gels tick all the boxes for me. They smell so gorgeous both during use and linger nicely after my shower/bath. I was so lucky to receive two fragrances which include the Honeyed Pear & Amber* and the White Jasmine*. 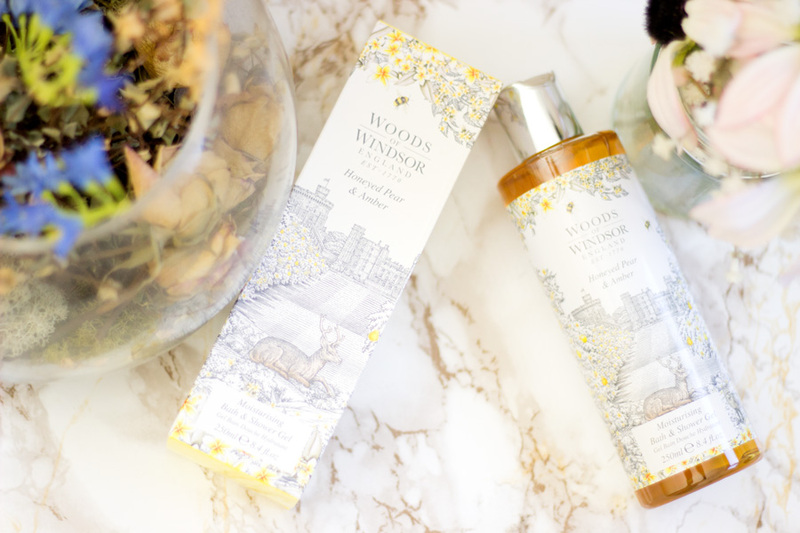 I love both of them so much but I think I have a soft spot for the Honeyed Pear & Amber because it was one of the first products I got from Woods of Windsor. I had it in the hand wash version with the matching hand cream (from their previous packaging) and I have repurchased this set at least twice. 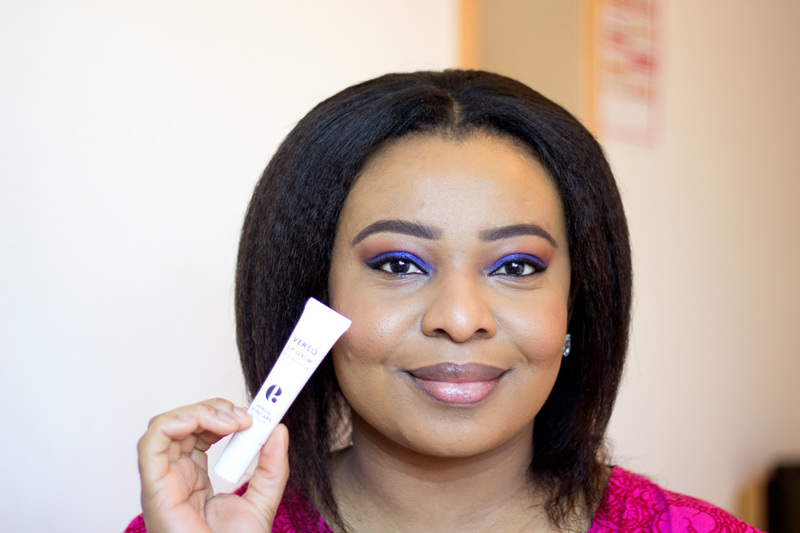 I was so happy to try out the new packaging and I am glad the quality has remained the same if not better. 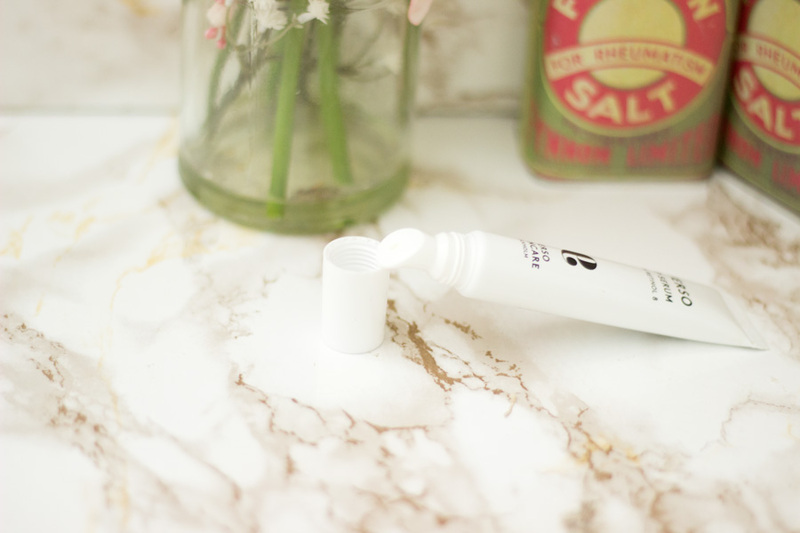 All the shower gels in the range contain antioxidant rich Vitamin E which protects the skin. 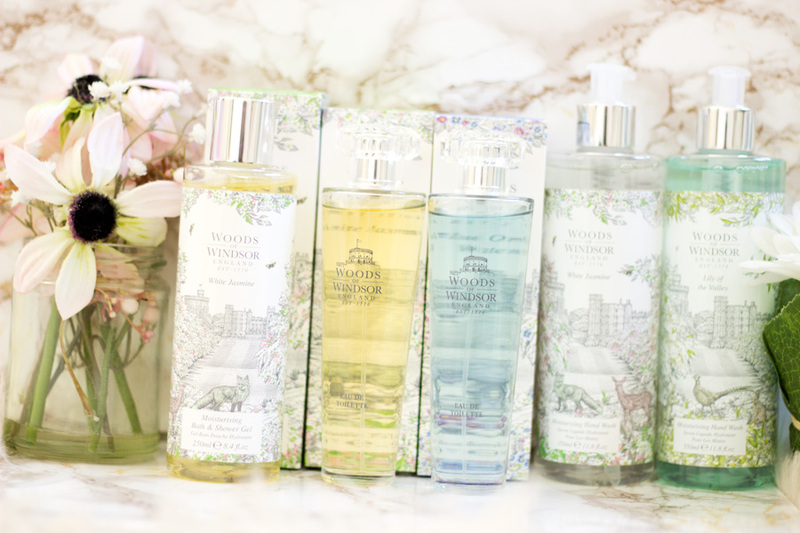 These shower gels are available in the following scents: True Rose, Lavender, Lily of the Valley, White Jasmine*, Blue Orchid & Water Lily, Pomegranate & Hibiscus and of course, Honeyed Pear & Amber. They are absolutely gorgeous, have great quality and last a good while too. 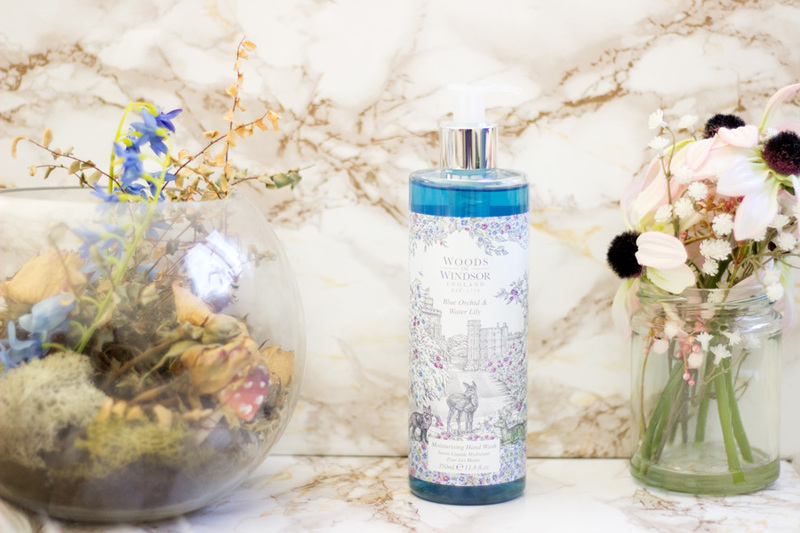 Hand Washes are another category of products that I love because they make my hand smell lovely. I wash my hands frequently mainly because I work in the hospital but this habit even translates back to when I am at home. 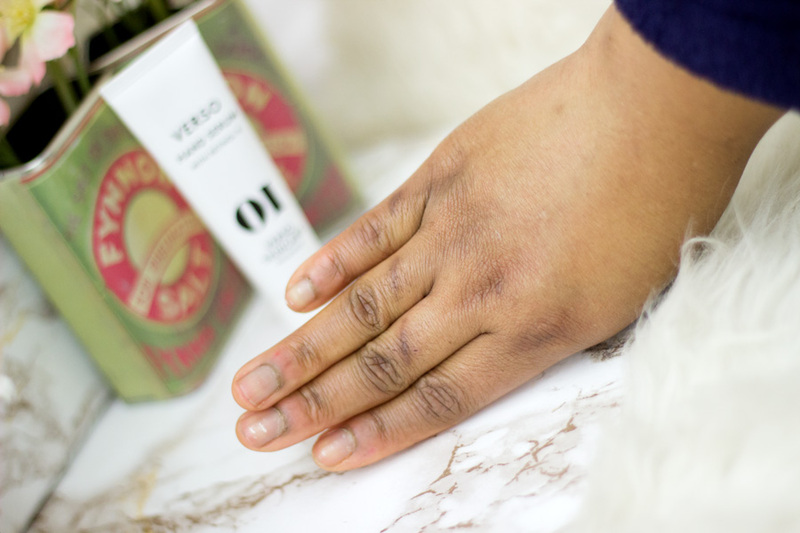 I love moisturising hand washes that don't make my hands feel dry or stripped especially with the current weather situation. 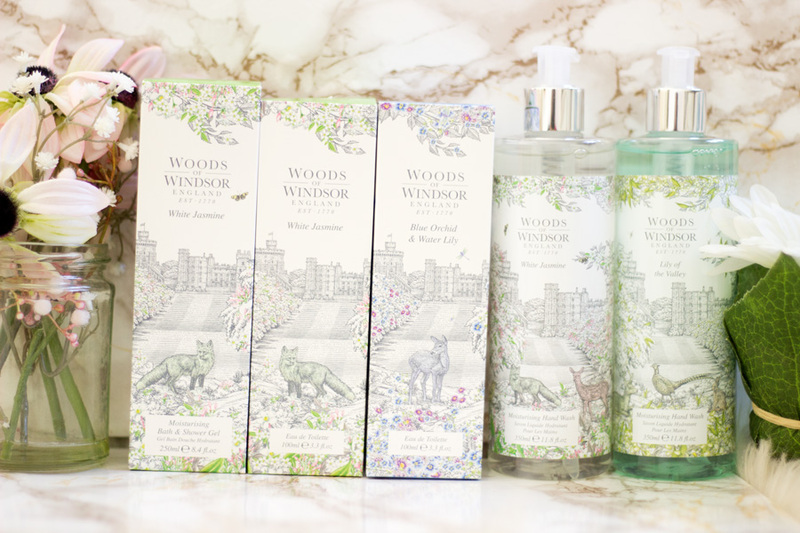 These Woods of Windsor Hand Washes look so beautiful. 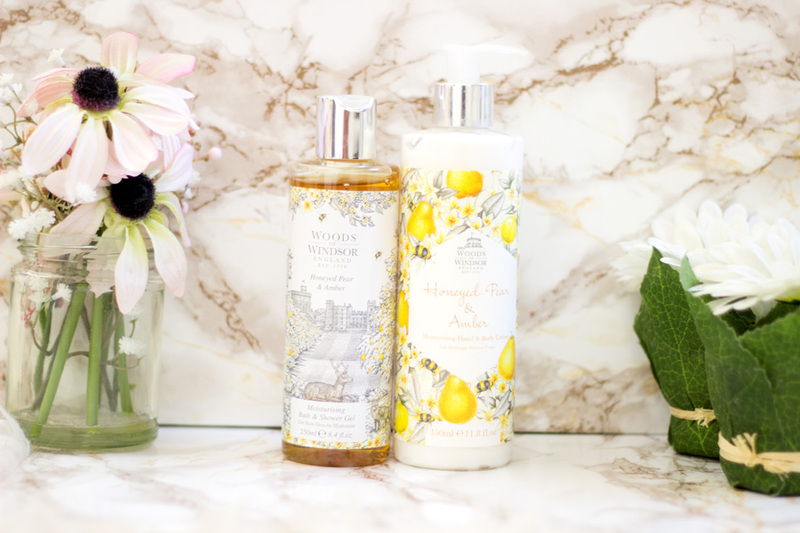 I don't know about you but I always want to have a pretty hand wash and hand cream in my bathroom at all times. It just adds to the aesthetics of my bathroom and when visitors have to use my bathroom, they always comment on how pretty the hand washes are. 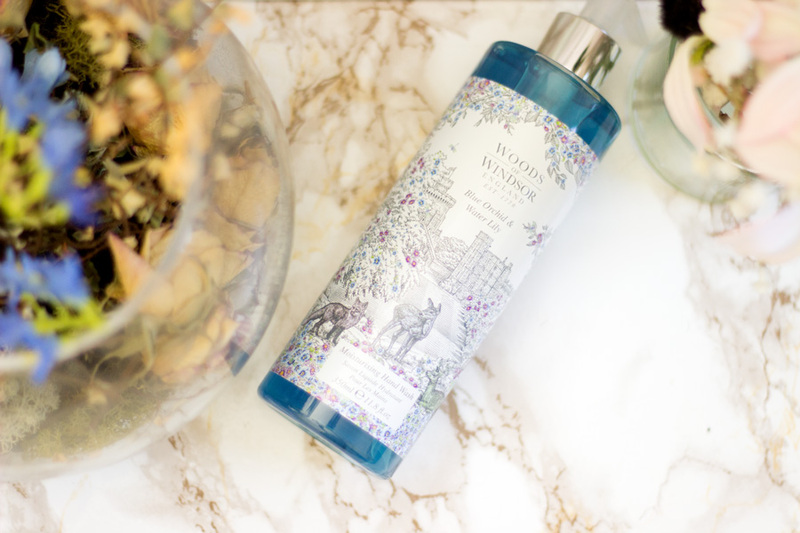 I was lucky to be sent three of these hand washes and they include: Lily of the Valley*, Blue Orchid & White Lily* and White Jasmine*. 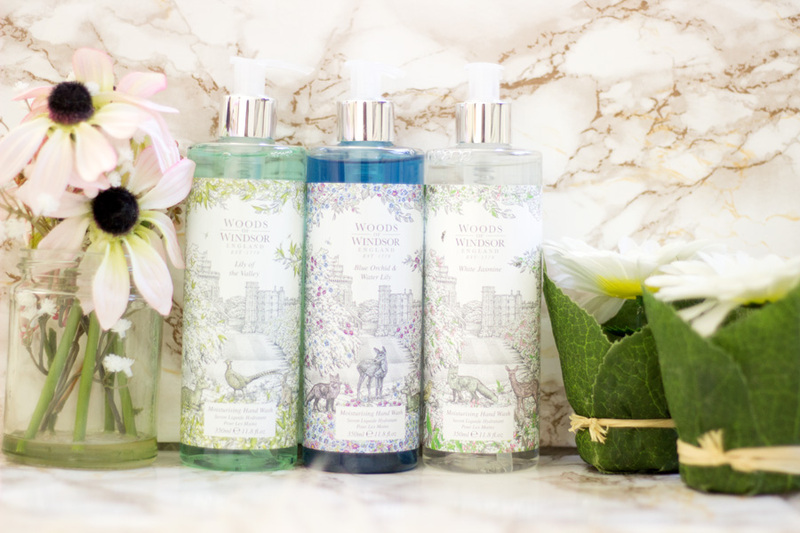 I can't really decide on which is my favourite but I am currently using the Lily of the Valley Hand Wash (alongside the Hand Cream) and I really like it. They look so much more expensive than they are but their quality is really impressive. 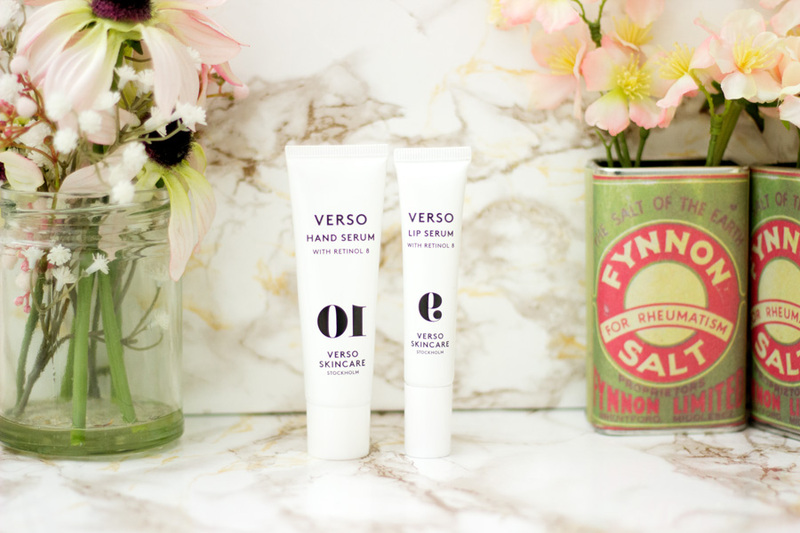 Again, I am a huge fan of hand creams. 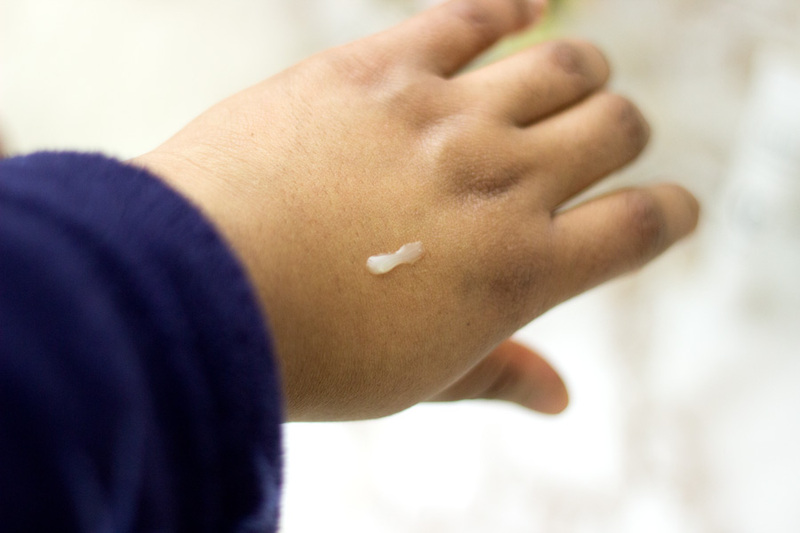 I find that if you wash your hands often, you'd more likely use more hand creams as well. 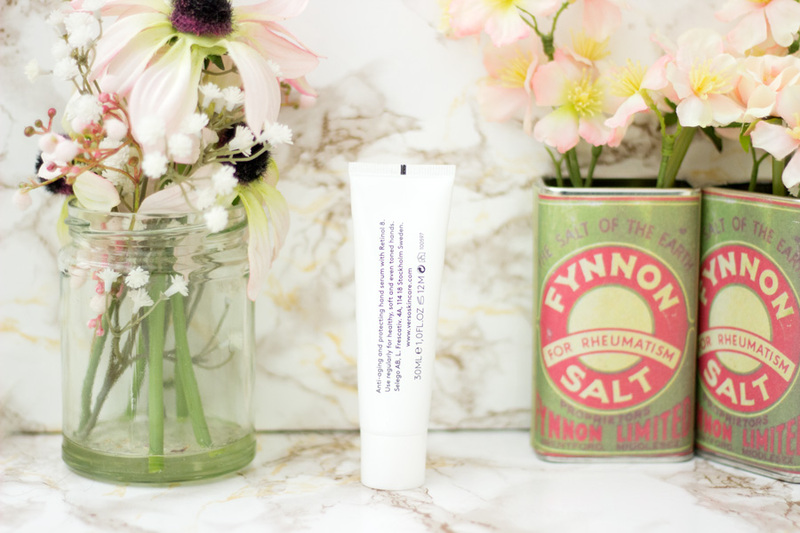 I love hand creams and I carry them with me everywhere- in my handbag, pockets, etc and you can find them in my bathroom and bedroom (and even my dresser). 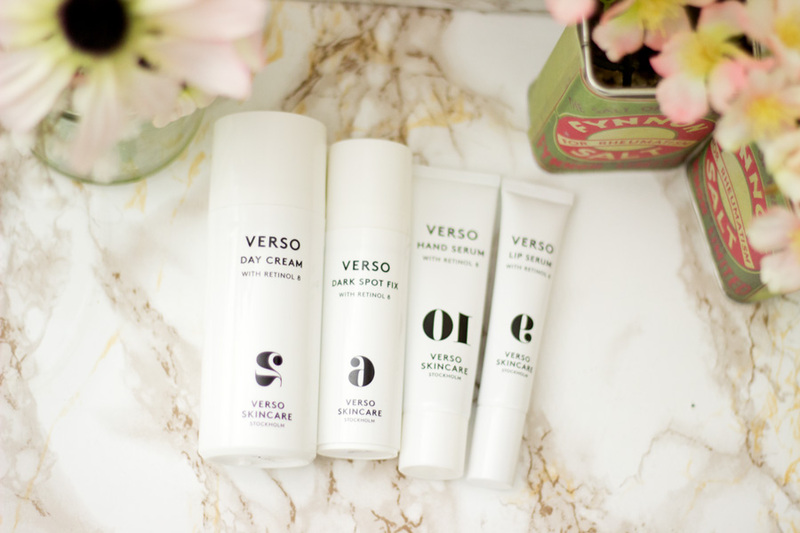 For hand creams, I always look out for how quickly they get absorbed, their moisturising and hydrating effect, non-greasy formulas and their fragrance. 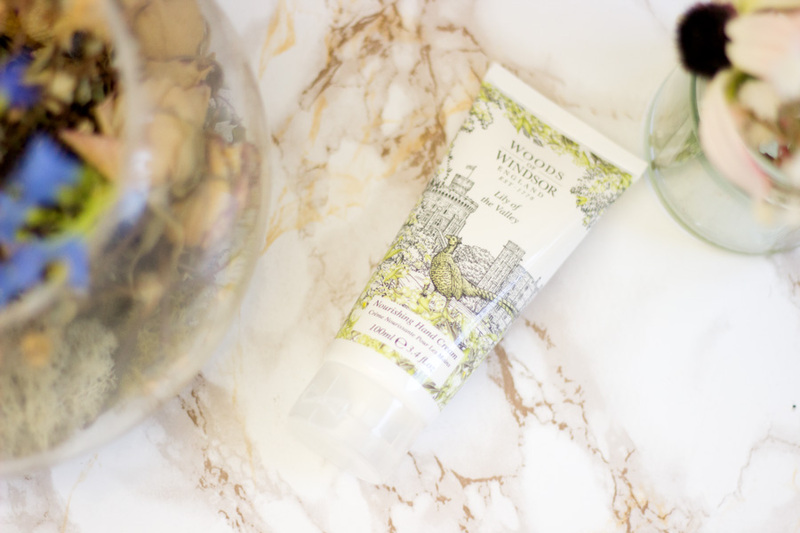 Not many hand creams tick all these boxes but I am happy to report that these Woods of Windsor Nourishing Hand Creams pretty much do it all. 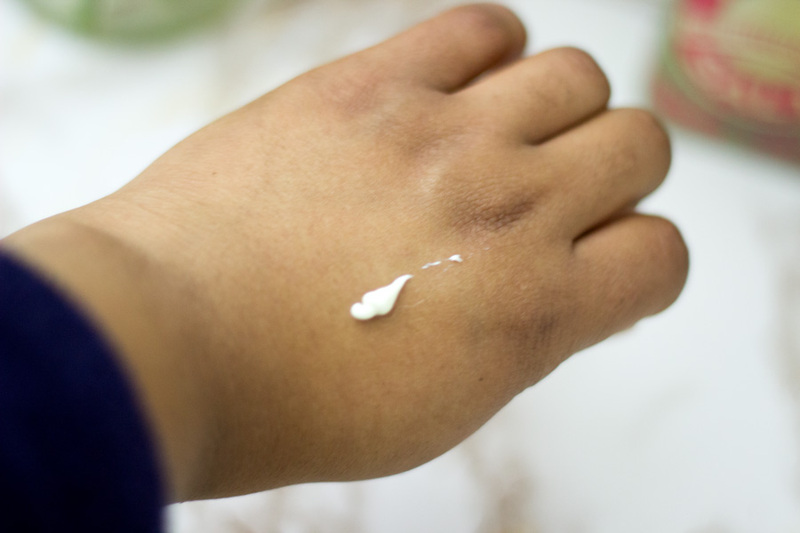 They are very moisturising and they don't leave my hands with an annoying greasy feel. 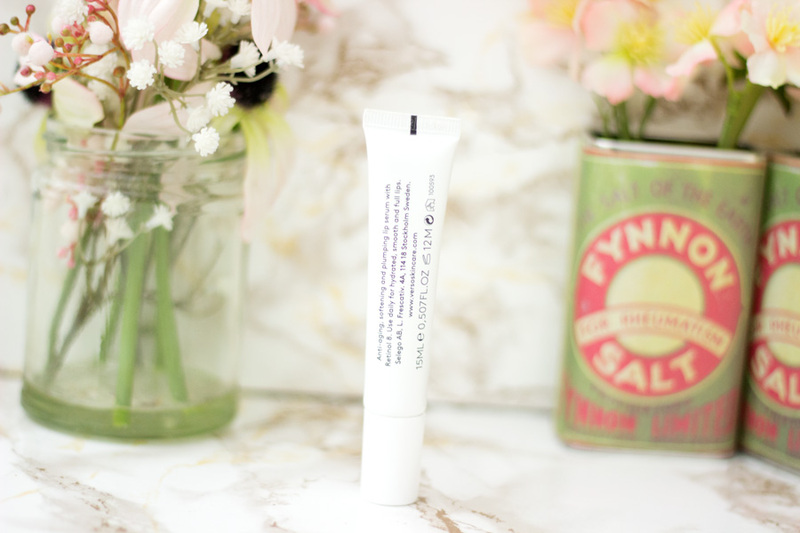 I got the Lily of the Valley Hand Cream* and I think it's the perfect Spring Hand Cream. 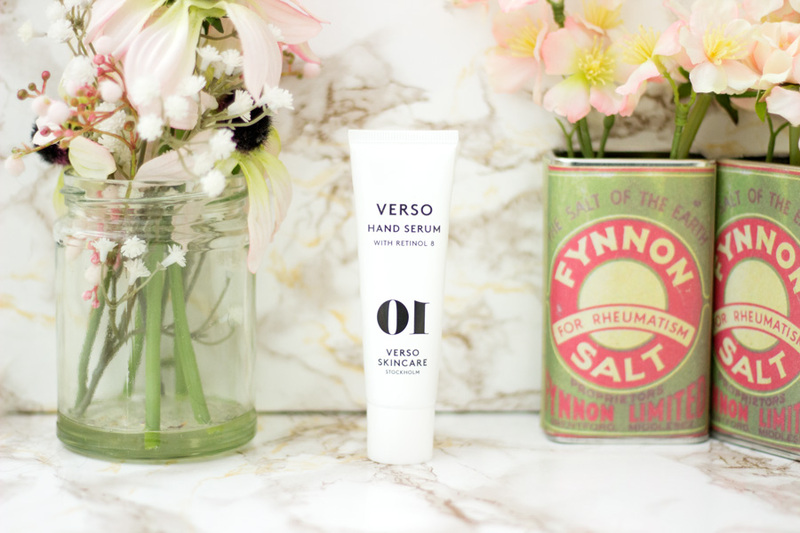 Once again, the packaging looks divine and it's such a joy whipping it out of my handbag when my hands feel dry. I am currently using it in my bathroom with the Lily of the Valley Hand Wash. 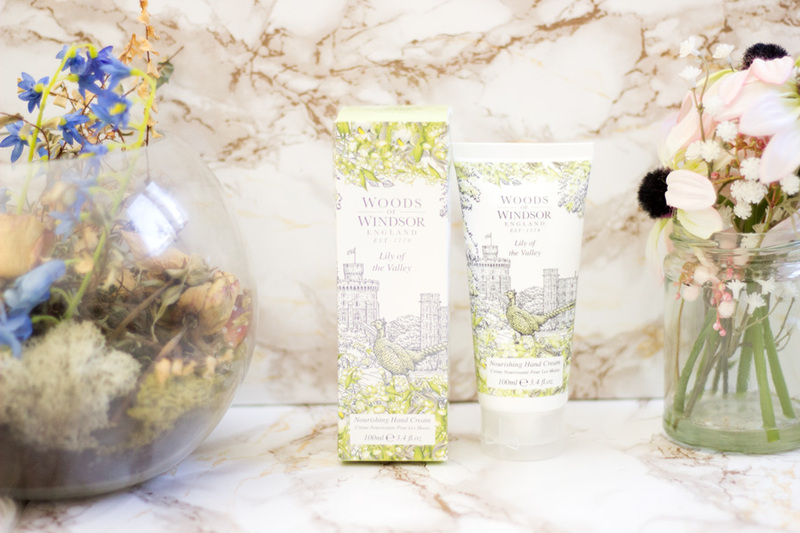 The Nourishing Hand Cream comes in four fragrances including True Rose, Honeyed Pear & Amber, Lavender and Lily of the Valley which I own. As much as I am a huge fan of Shower Gels, soaps will always still have a place in my bathroom. I grew up using soaps and I remember being gifted nice luxurious looking soaps by my parents and relatives. 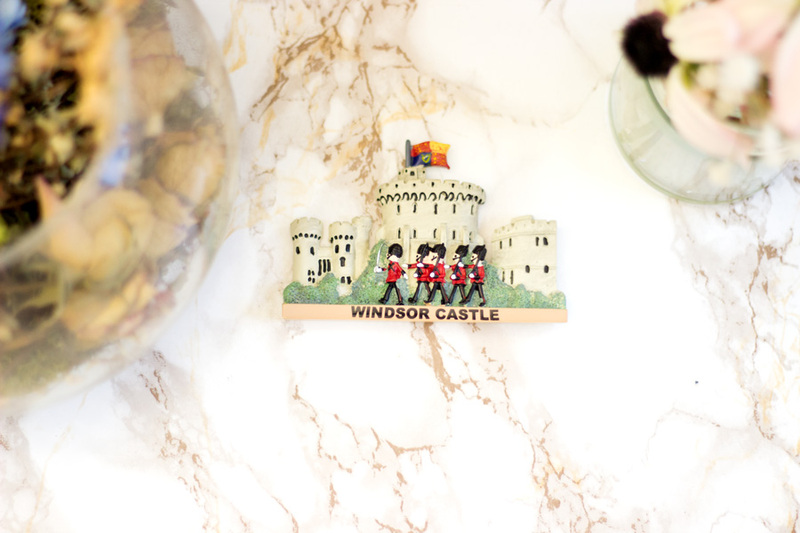 When I found this soap set in the Woods of Windsor hamper, it brought back so many lovely memories. 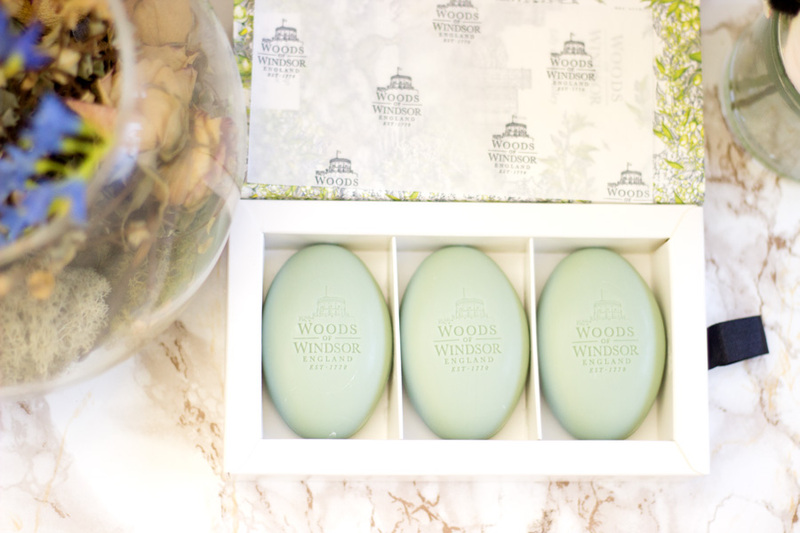 The Woods of Windsor website describe these soaps as triple milled using the finest natural ingredients. Don't you just love their packaging? Honestly, they make me feel special whenever I have to pick a new soap. I got the Lily of the Valley scent and it smells so fresh. They really do hold their shape (which is a slightly curved oval one) after many uses and it never gets messy. I am really amazed by this because some soaps lose their shape no matter how careful I am with them. It also smells so lovely and I can still smell its slightly lingering scent after I have showered. 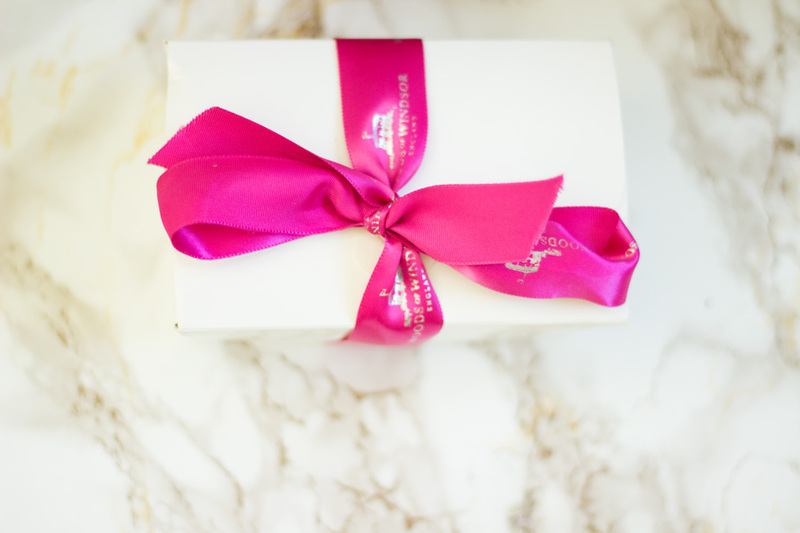 This set will make an incredible gift and you honestly don't need to do any extra wrapping with this one. 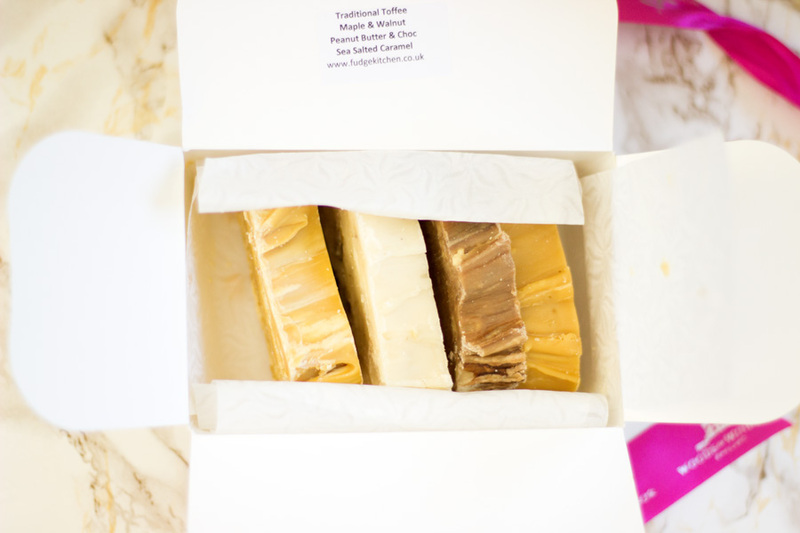 These luxury soaps come in four scents which include True Rose, Lavender, White Jasmine and Lily of the Valley and each of the soaps weigh 60 g. You get three soaps in each set and I think it's an amazing bargain at £9.99. 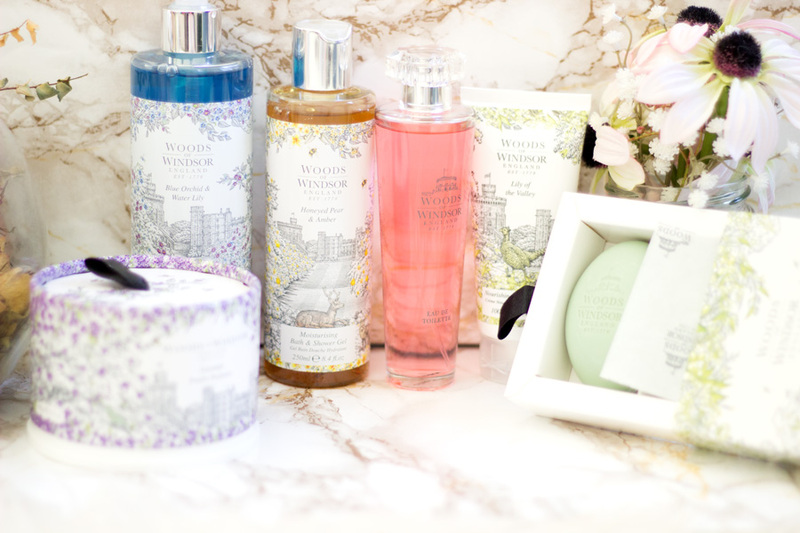 I wish Woods of Windsor will make a mixed set containing at least one of each of the four fragrances they make as that would be an amazing way to try each soap. Nevertheless, I love this set and I am onto my second soap already!! 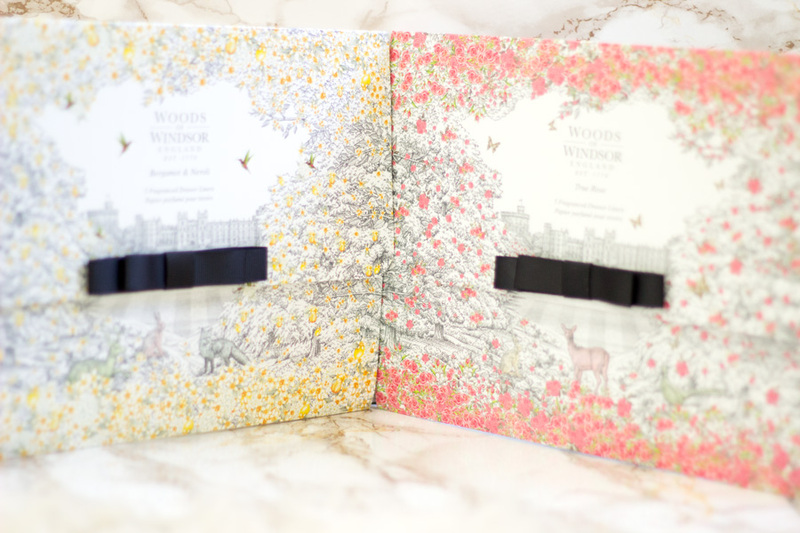 I got into Drawer Liners last year when I tried out the Woods of Windsor English Heritage range. It was new to me but I really enjoyed using them.They can be used in all drawers and my drawers are just transformed by these liners. The best part is they leave a lovely scent in my drawers and the liners last for as long as six months. Once they are done, they can be used as gift wraps. Of course, nothing stops you from using them before the 6 month mark as a gift wrap. I bet anyone who gets a gift wrapped with these liners will be over the moon. 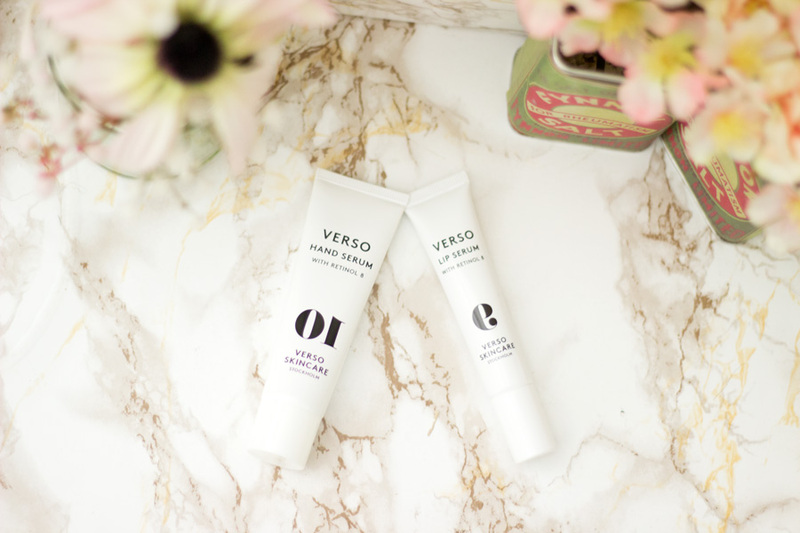 They are available in two scents/fragrances- True Rose and Bergamot & Neroli* fragrances. I was incredibly lucky to get sent these two fragrances and I have enjoyed them. The Rose Drawer Liner smells so gorgeous as expected from anything rose scented. However, I think I am leaning towards the Bergamot & Neroli scent. The lovely yellow design theme reminds me of Spring. I also love the beautiful wallet these drawer liners come in and I already use them in storing some blog documents. Love these drawer liners and you get pretty large sheets (5 sheets in total) in each wallet so it's really good value for the price. 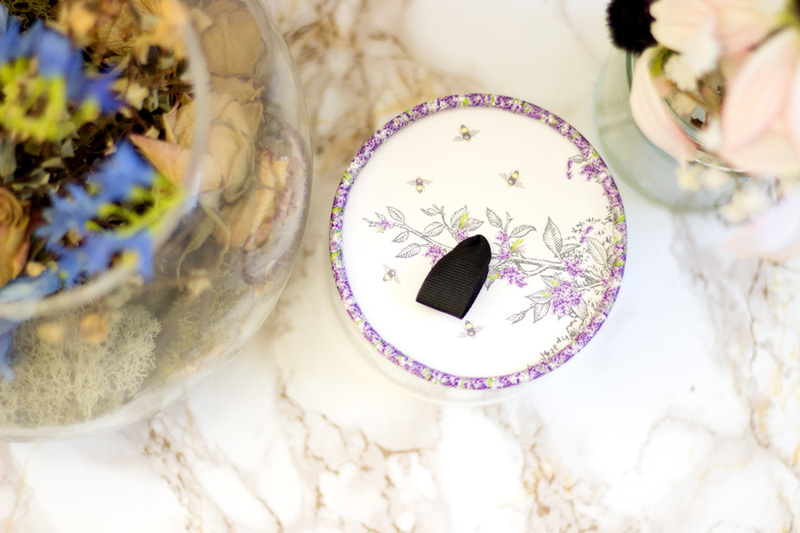 The last category of products in my hamper is this lovely Dusting Powder. I bought my previous Dusting Powder from Miss Selfridge and I ended up giving it too my sister because she loved it so much. Imagine the delight on my face when I saw the Lavender Dusting Powder in the hamper. First off, I love the packaging. It is beautiful and I am a huge fan of anything with a purple/lilac/lavender colour. 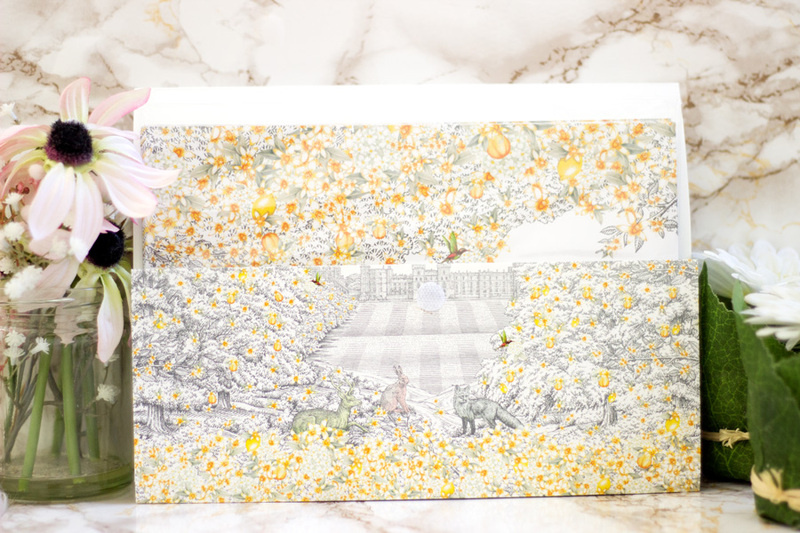 Inside the lovely illustrated outer packaging, you get a super fluffy powder puff and the powder rests securely underneath. 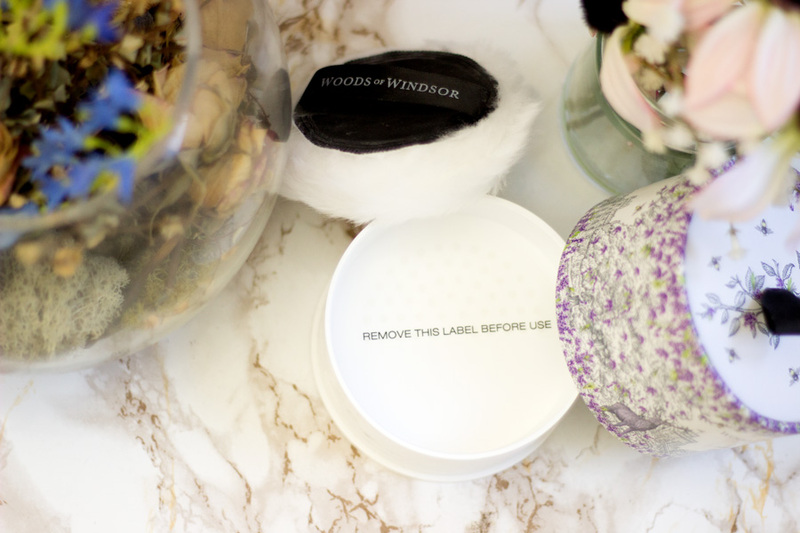 It has a nice label which protects the powder although I do have to say it is slightly messy when you completely take it off. I know some people are not really into dusting powders but I find them really good for evenings especially after a shower/bath on a pamper evening/night. 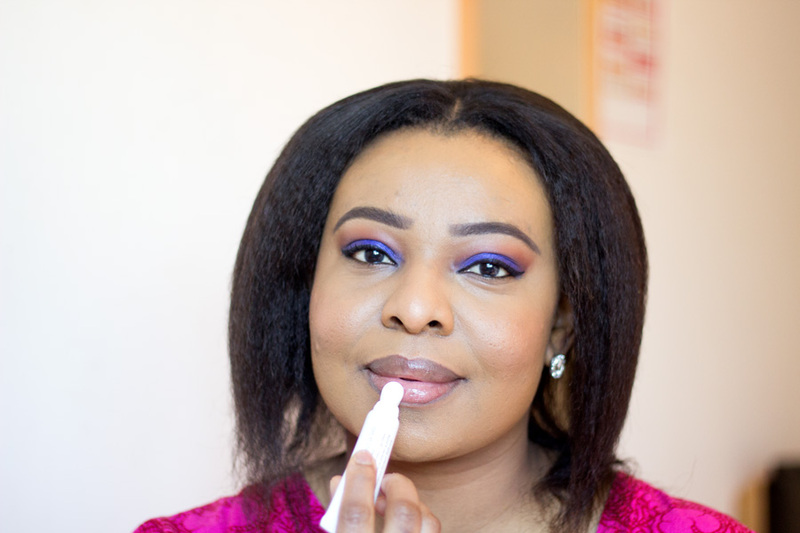 Dusting powders also help lock in moisture while leaving your body with a nice fragrance. I don't use this everyday for sure but I use it when I am feeling extra. 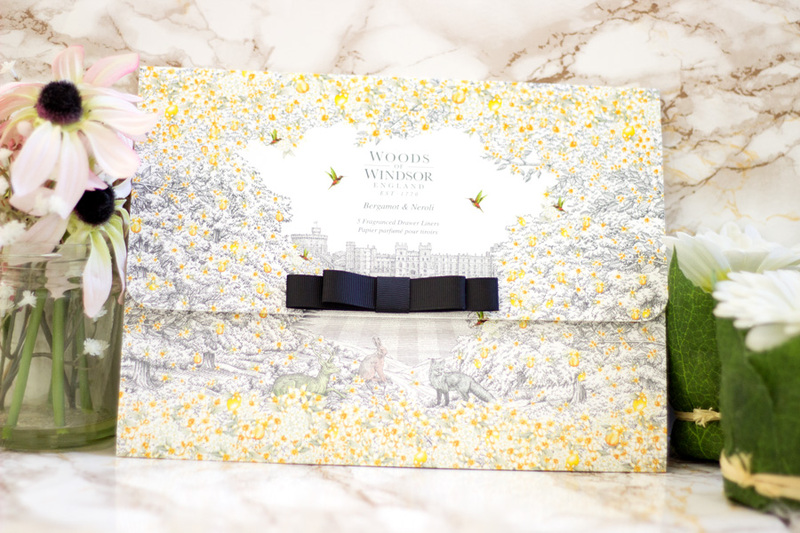 The easiest place to purchase Woods of Windsor products will be on their website. The website is really easy too navigate and they often do offers which you can find out about when you sign up for their newsletters. 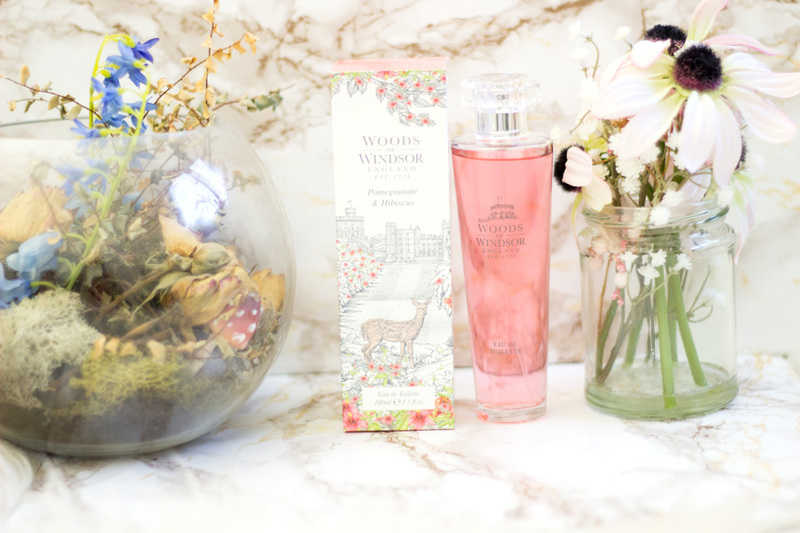 I believe you can also get Woods of Windsor from other retailers like Debenhams and Boots. However, the best place to get the wide range of products is the Woods of Windsor website. 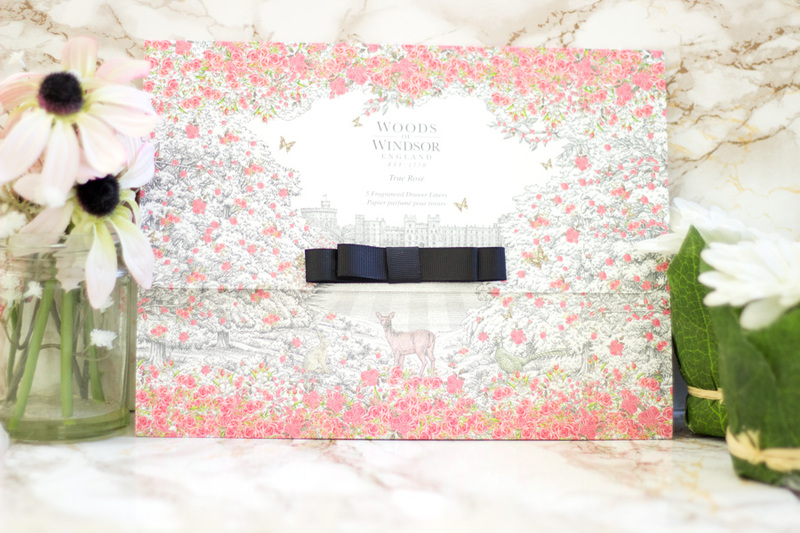 I can't even describe how my day was made when this lovely Woods of Windsor hamper arrived. 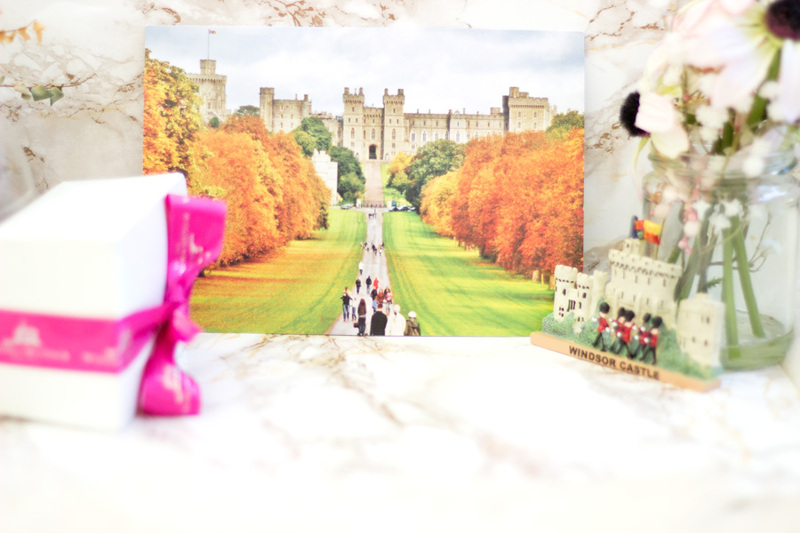 I was so delighted and their lovely PR included a box of fudge, a cute fridge magnet and an invite to the Woods of Windsor Castle (which I'd be using when the weather gets warmer). 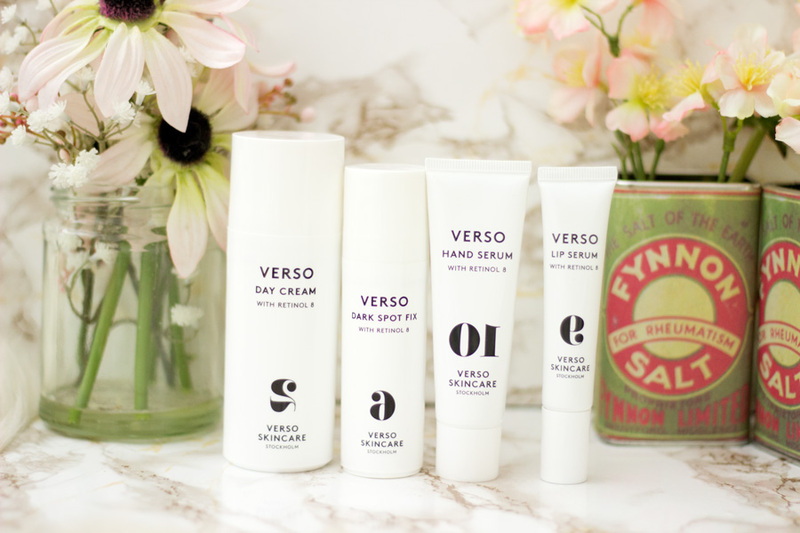 I love all the products in this hamper but I have outlined my favourites above. Hope you enjoyed this post. 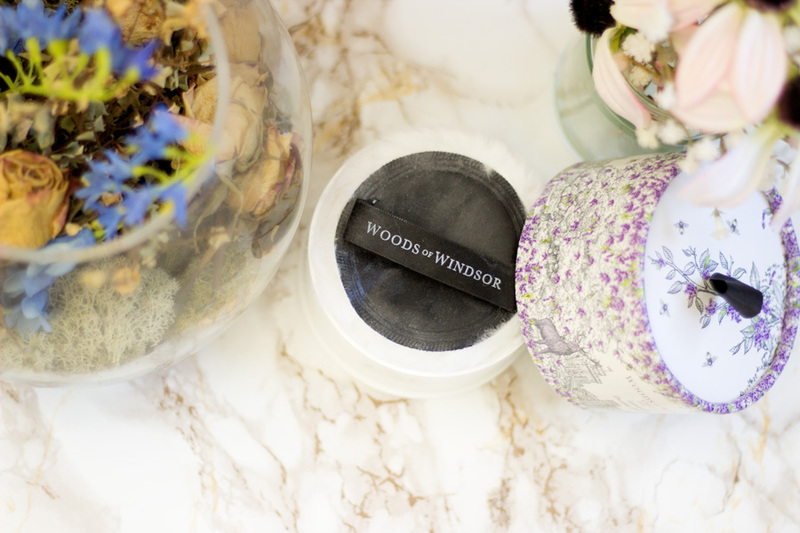 Have you tried any Woods of Windsor products?